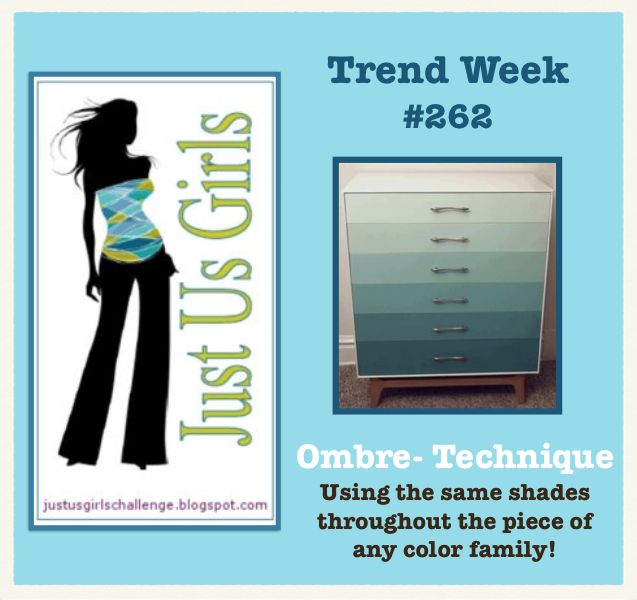 The Ombre technique is what Sue T. has in store for us and hopefully you this week over at Just Us Girls. Speaking of Sue…this is her last post at being a fellow Jug Head and we are sad to see her go, but understand that her schooling and career is all sure currently has time for these days and wish her the Best of Luck! HUGS to you Sue! Now back to the ombre technique. I have seen this technique interpreted many different ways using all sorts of art mediums…ie, chalk, watercoloring, paper and etc. I stuck with the paper version which is a lot like the JUGS graphic this week. As you can see my background is a cascade of pinks going from lights to darks. I didn’t like the transition lines in between the papers from one piece to the next so that is when I decided to put in the white, victorian scalloped dividers. The stamps are a mixture of Gina K Designs and Verve. The flowers are made from 3 different punches. The centers of the flowers are either Stampin up dots or paper. Hope you have a wonderful weekend and come on over to JUGS and play in our challenge. While your there say farewell to Sue and check out the work of our Guest Designer Wanda. Her card is incredible!!! Remember If you are selected as Chic of the Week you will be in the running as a possible Guest Designer with us in the month of December. Categories: Cards | Tags: Card making, Cards, Happy Birthday, rubber stamps, Verve Stamps | Permalink. Fun way to use the technique! Beautiful card Nancy. Love the shades of pink. Beautiful in the pink and white colors. Nice design too! I really like the scallops in between the ombre’ layers, Nancy. Awww! This is so sweet and adorable! Really great card! Oh Nancy this is beautiful in the shades of pink. Like how you divided them – great touch. Love the softness in the colours and pretty flowers. I think this is very sweet! I love the pretty shades of pink with the bright white….. lovely! Thanks, Nancy, for your sweet comment! I really love your girly ombre card! SOOO pretty in pink! I’m loving all the samples for this fun trend theme! Beautiful in the yummy shades of pink! Love how you added the flowers, too. Pink- you had my heart at pink! I am smiling. Love your card and kind comments! Wow, Nancy! Your card is STUNNING! 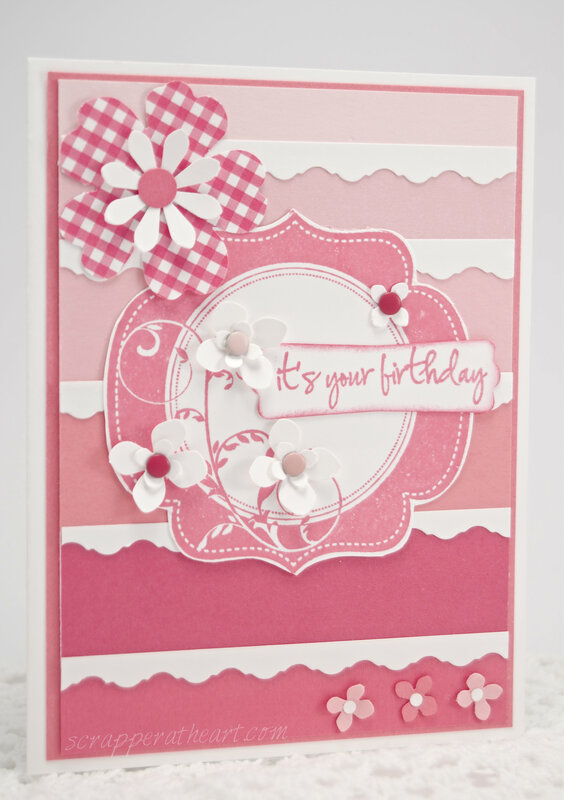 I really love the pinks you used and the lacy borders between them!